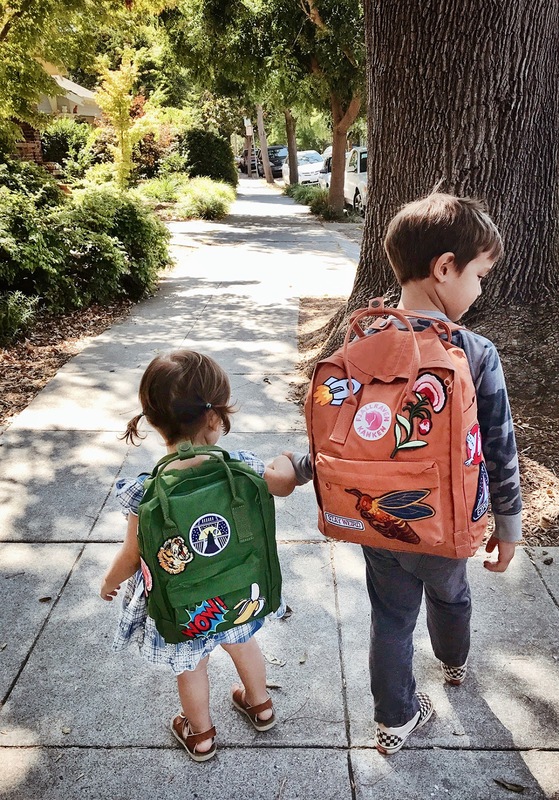 With the lively green leaves turning yellow and falling down and the weather becoming cooler, fall seems to be a sluggish season. Yet, no one wants his or her home to be like that. 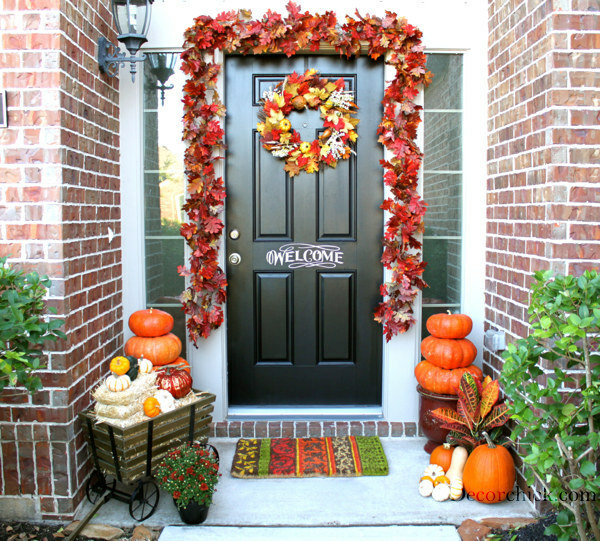 So, just dress up your porch and give it a vital look. 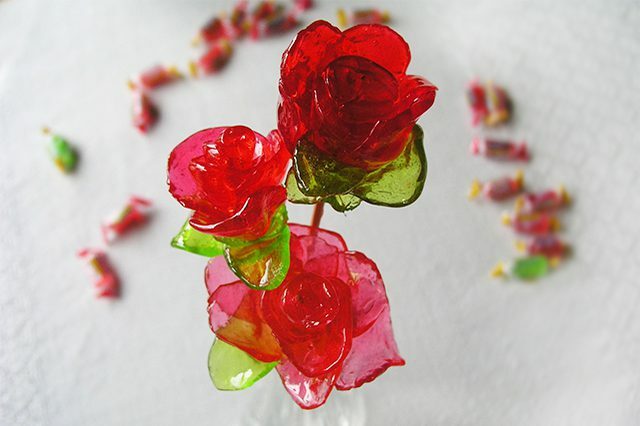 Make your home a sweet home and make your neighbors insanely jealous of you. 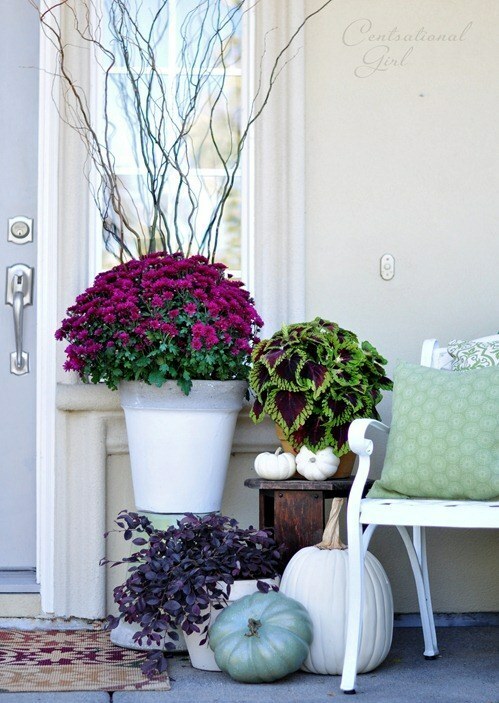 In this post, you will be shown 20 porch decorating ideas. 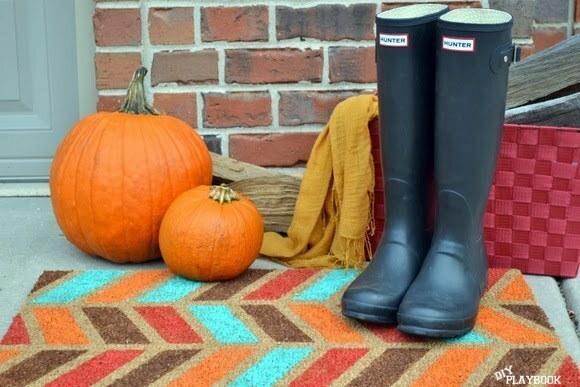 All these ideas fit the theme of this season perfectly and they all look fabulous. Just stay here and check them out. Find the one you love and experiment with it. Good day! 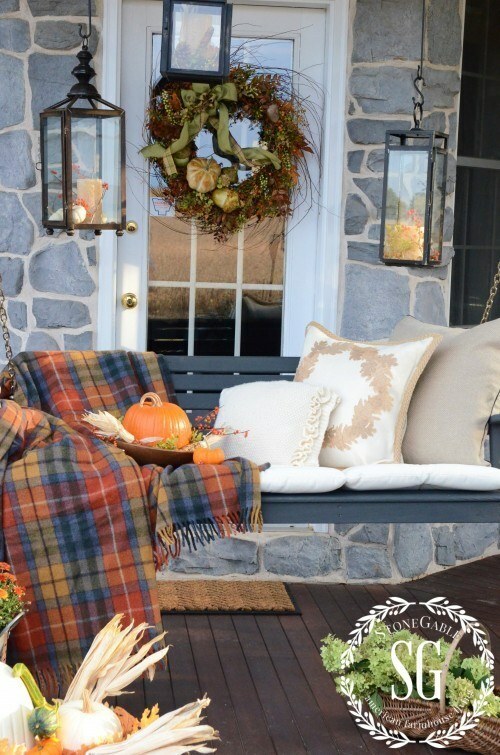 The porch looks so snug when decorated in this way. The Halloween approaches, you may copy this idea. It’s really worth trying. 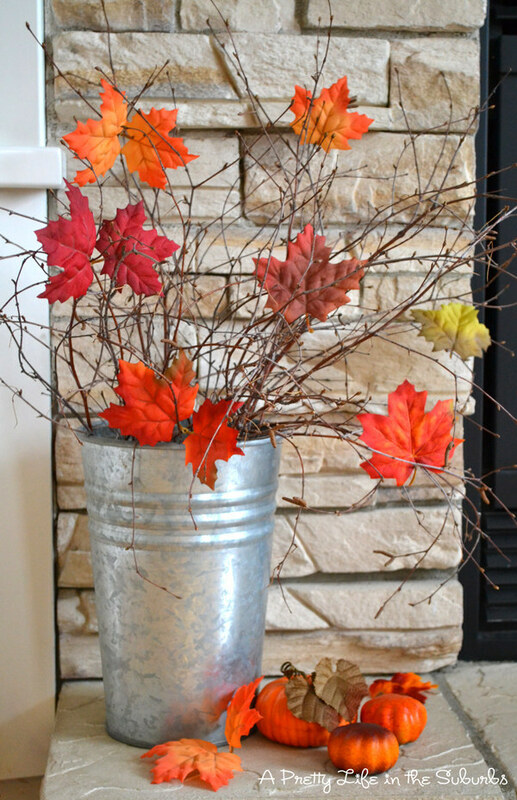 Red maples and ripe pumpkins are the symbols of fall. 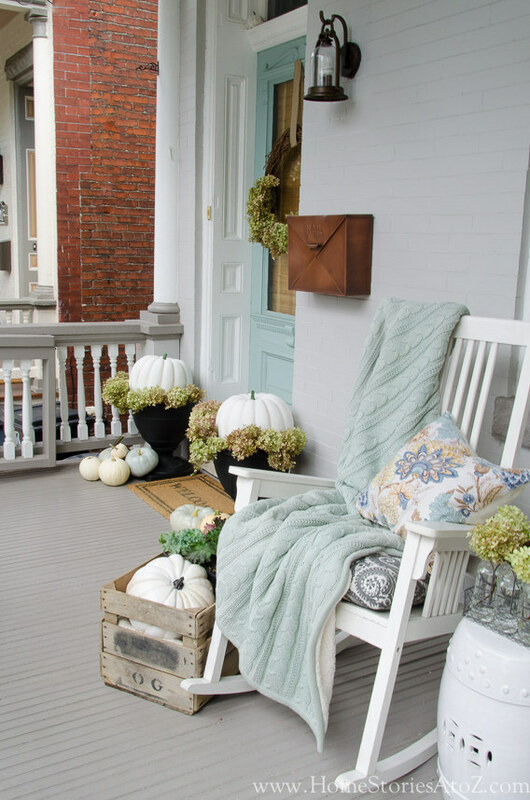 The warm colors brighten the lonely porch, which is a simple way to decorate your porch. The giant “welcome” board seems to be greeting to everyone friendly. Your neighbors must be touched deeply. Right? 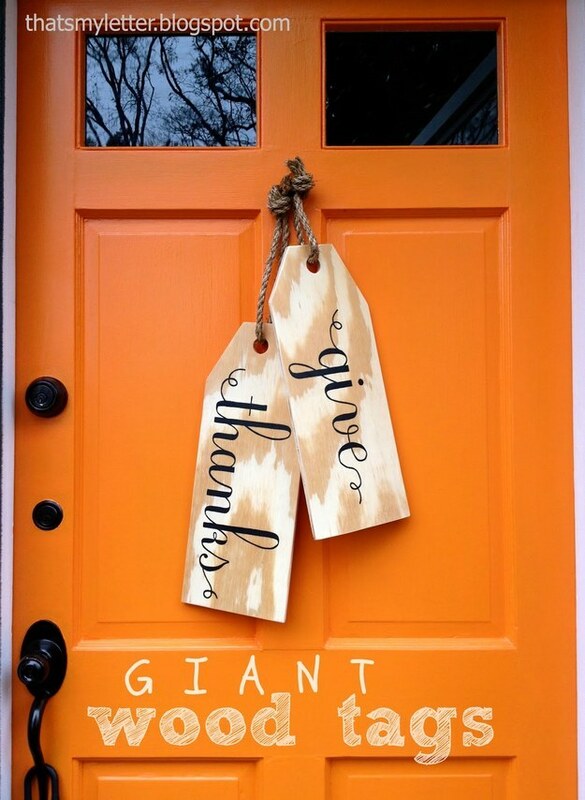 A bright-colored door decorated with two giant wood tags. 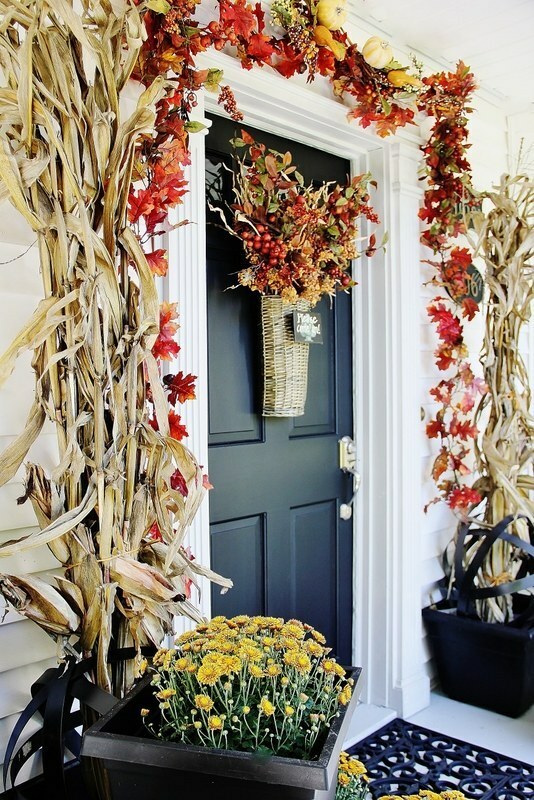 Just so easily you can get a stunning fall look for your porch. Neither colorful nor complicated, but rather concise and effortless chic. 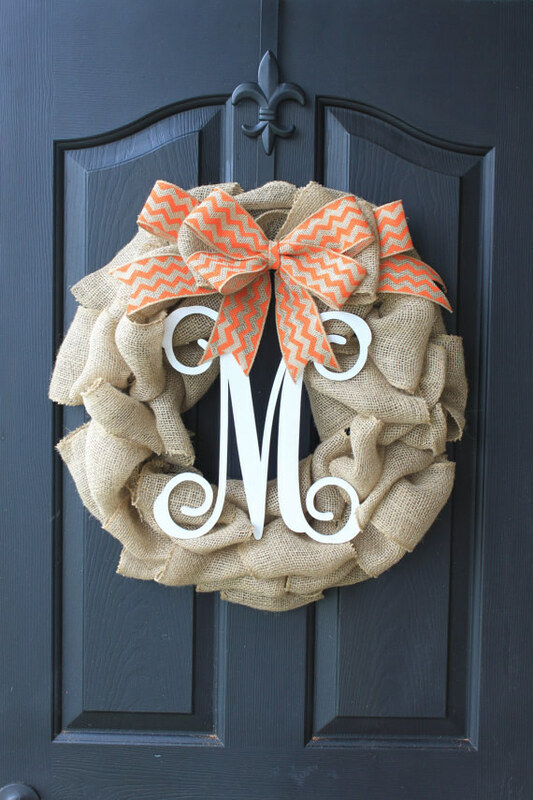 The warm-toned decoration color the depressing fall days. You can put your daily articles on the porch to create a livley image. With the yellow followers, green and yellow leaves, this porch show itself in a flourish way. Really wonderful! 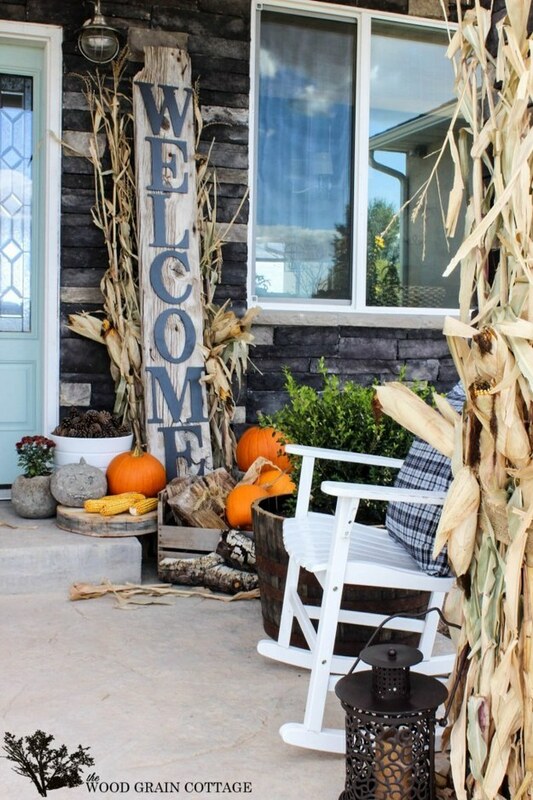 Put a comfortable coach on your porch, then place some fresh vegetables and fruits to entertain your gusets. What a nice day! 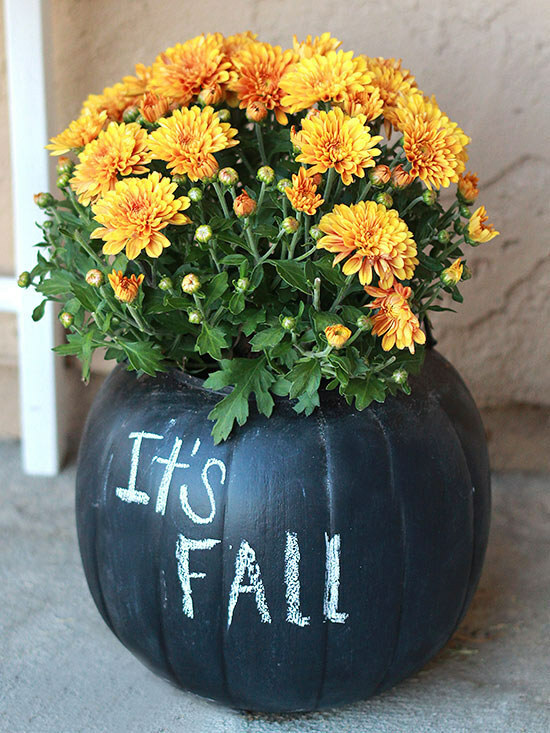 Blooming chrysanthemum on a painted pumpkin. This is really creative and attractive. 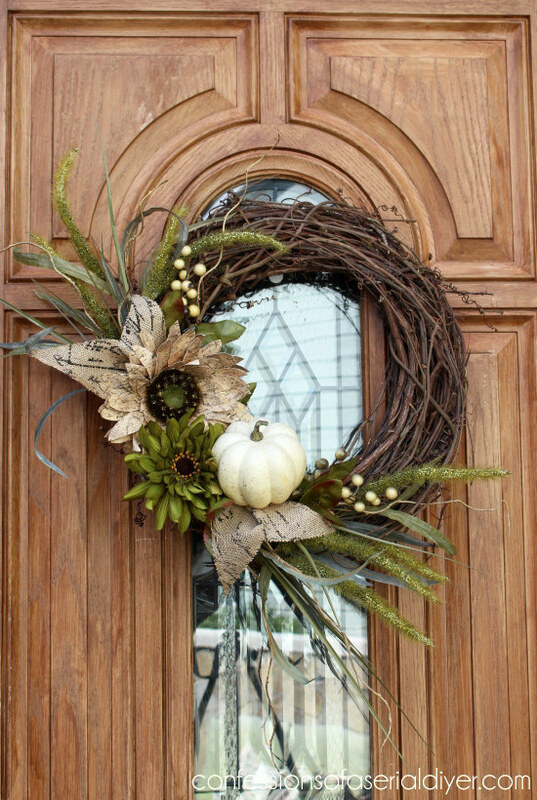 Make a pretty decoration for your door is the quickest way to dress up your porch. The simple decor calms us down and it has incredible attraction to me. Do you like it? Lively plants looks wonderful against the white background. 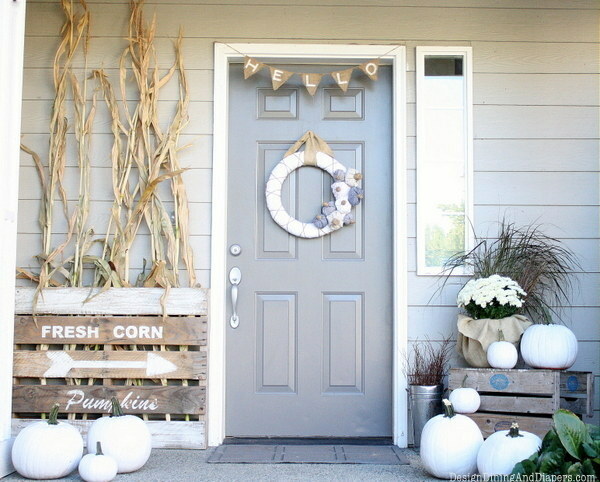 It’s a concise yet rather stylish porch decor. 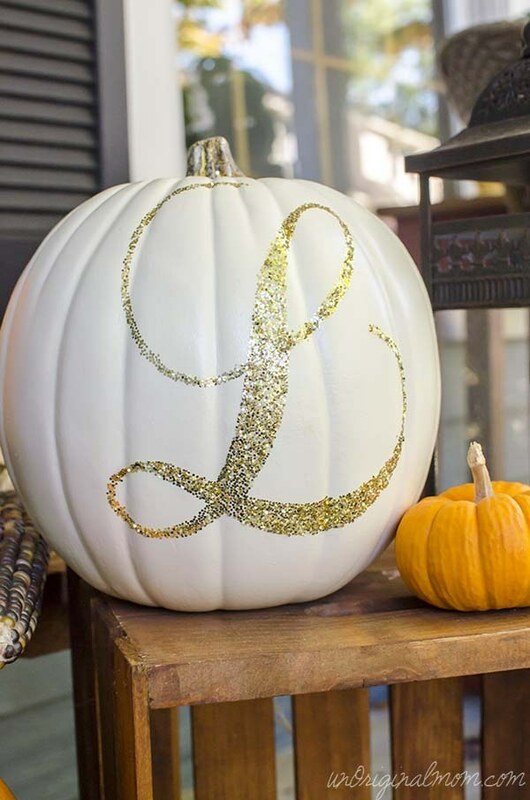 Use some gold powder to paint the pumpkin lantern. You will find it so fashionable. Light colors emanate a soothing feeling, which is quite suitable for fall. 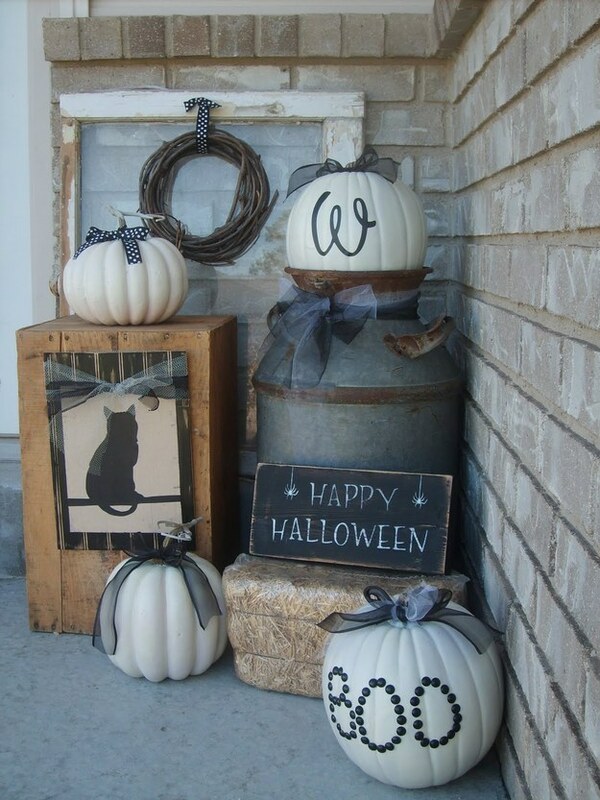 The mild mint goes well with the white pumpkins. It’s really a nice decorating idea to try.